When visiting a brewery the most helpful thing you can do is offer constructive criticism and an unbiased opinion of what you are drinking. You will inevitably feel the urge to please the bar staff and the brewers with compliments on their brand new IPAs. Which is a normal feeling. Breweries are fun places to be. And brewers make up some of the finest drinking companions on the planet. Who wouldn’t want to be friendly in return? But I must implore that you praise in moderation and only when deserved. I’ve seen a compliment come from someone who hadn’t even tried the beer in his hand before brazenly exclaiming that this was the best Saison on the market. This unabashed and aimless appraisal for everything and anything resembling beer is a disservice to the craft beer movement. It was the downfall of many breweries in this country in the 90’s. The fact of the matter was they didn’t know they were creating truly horrible beer. No one had ever told them. Craft beer was brand new to this country and none of their friends and patrons ever had the heart to come forward and tell this generation of brewers to step up their game. The beer suffered, and the people summarily descended to the familiarity of their mass produced light adjunct lagers. Yet what we gained was the valuable lesson that critique begets quality. Whether it is art, literature, or in our own case beer, a critical eye opens up a dialogue between producers and consumers that both camps benefit from. Constructive feedback sparks the creative juices of brewers who are constantly seeking new combinations and techniques. Like an evolutionary pattern the bad beers are able to die in peace and be replaced by far superior iterations. Like Italy during the renaissance, everyone is engaged in the process of creation; so much so that the creations themselves are raised to heights that were previously untenable. Brewers did not create beer, society created beer, and it continues to do so to this day. With every sip you have ever tried you are furthering the evolution of fermentation. You owe it to society, and you owe it to beer, to speak the truth. 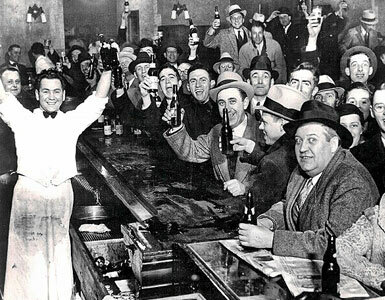 Today marks the 81st anniversary of the day the 21st amendment was ratified, allowing the sale and manufacture of alcohol in the United States after almost 14 years of prohibition. It is an amendment which I hold dear for the fact that it allows me to come to work every morning and brew the beers I have come to love and appreciate. Today is a day to remember that craft beer wasn’t always what it is today. There were many battles fought and hurdles surpassed to get us to where we are today. It is worthy to note that we are just now begining to exceed the number of breweries this country had in the 1880’s. Craft beer has survived, and that alone is worth a toast. So as you get off work today and order your drink of choice, whether beer, or wine, or distilled libation, take a brief moment of silence to think about the men and women who worked hard to make these little moments of pleasure possible. I for one will raise my glass to their noble cause. Wake up. Scoff breakfast burrito. Climb mezzanine. Lift 55lbs bags of grain repeatedly into mill. Mash grains. Vorlauf. Sparge. Boil. Weigh hops. Clean vessel. Cool wort. Pitch yeast. Clean brew house. Repeat as needed. Brewing on paper looks like a rigid manufacturing job. And in many respects it is. Steel toe boots. Burns and forearm cuts. Chemical burns and sore back muscles. But it is so much more. Brew day is by far the most physically demanding day at the brewery. But it is also the most rewarding. On brew day you can feel the gravity of the craft you further. An age old art form manifesting at your fingers. Dust from crushed barley fills the morning air. Crystal and Carmel and Abbey malts melding in hot liquor like a bowl of hot cereal, toasted bread, and cocoa. 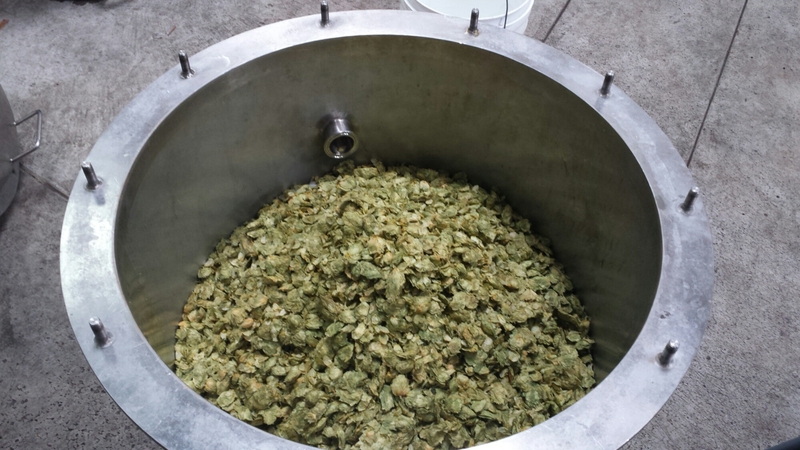 The smell of a bag of fresh citra hops being opened for the first time is so intoxicating your head spins. 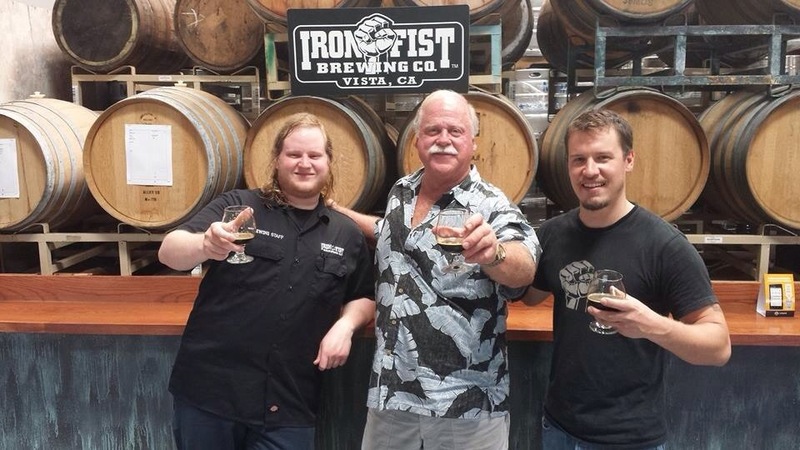 I am happy to report that after a year of embarking on this beer journey i have become a full time brewer at Iron Fist Brewery in Vista California. 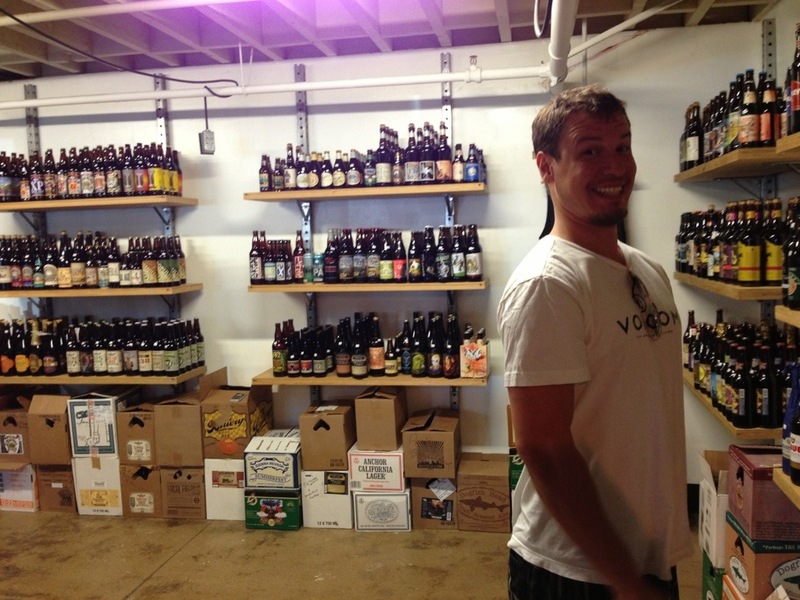 The scene above is one I visit daily and one that every beer lover should see at least once. Words alone do not do the brewing process justice. Like discovering for the first time that you can cook a meal that is edible, brewing is a captivating craft. Since learning to brew on my parents stove from a can of malt extract I have not yet been able to put down the mash paddle. My brew pots are bigger now (approximately 600 gallons), and l use thousands of pounds of barley per week. Yet on a fundamental level I remain a fascinated homebrewer on a journey for beer. I invite you all to come have a pint on brew day. Beer and sushi. Not the first combination that comes to mind when considering gastronomy’s great history of complimentary duos. It works, trust me. 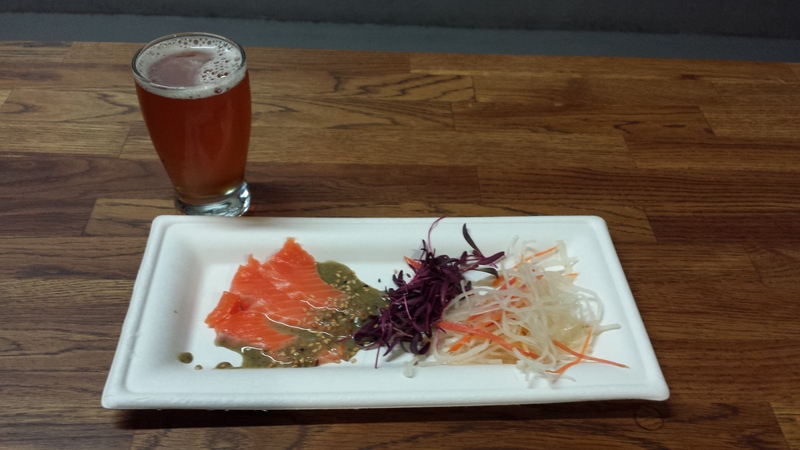 And not just the delicate flavors of raw fish and light lager. Imperial Stouts and big Belgian Dubbels have found a place at the new pairing table. No one displays this fact more creatively than chefs Loren and Davin Waite who have created a five course sushi menu with Iron Fist Brewery. Watermelon gazpacho with Fijian albacore and an American Pale (aptly named Nelson the Impaler) hints at what kind of a meal this is going to be. To state that seared fish, sweet watermelon, and hoppy pale ale belong together as an appetizer is intrepid. And even more so when it works so well, the sweet fruits mingling with the citric almost tropical notes of Nelson. The New Zealand origin of these hops is undoubtedly showcased through such a dish. The brashness continues through 5 courses. 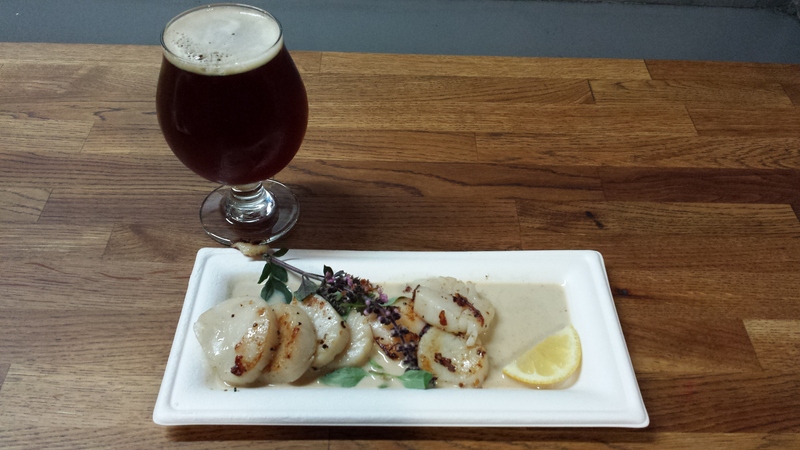 Seared Scallops with coconut curry sauce and Dubbel Fisted, a caramelly Belgian Dubbel that somehow was always meant to be served with coconut curry. Kolsch beer and cucumber salad. How has this beauty eluded the millions of Sushi restaurants around the world. Sake does have its merits but this is a new level of artistry. Kaiseki, a beautiful arrangement of fresh ingredients, highlighting innately good flavors to evoke complex tastes. 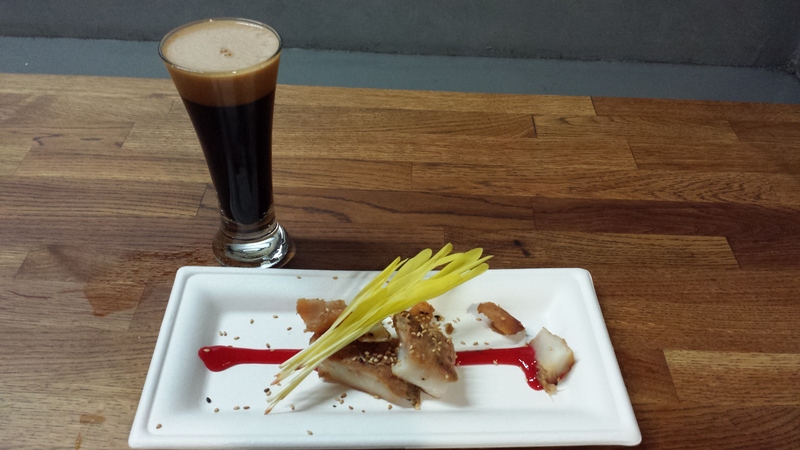 And the coup de grace… Miso smoked halibut with jalapeno raspberry gastrique, roasted sesame seeds, and an unapologetic Imperial Stout. A combination with so much complexity and depth that one can’t begin to describe it entirely in one meal. Brewer Brandon Sieminski comments on how the apple wood smokiness in the fish eclipses the bitterness in the stout, leaving you with cocoa nibs and coffee in every sip. This is the evolution of master pairings. Desserts be damned, we can and will serve stouts with sushi. Enjoying the meal from a barrel converted table 20 ft. from where the beer was brewed is an added benefit and nod to an excellent night amongst friends and food lovers. 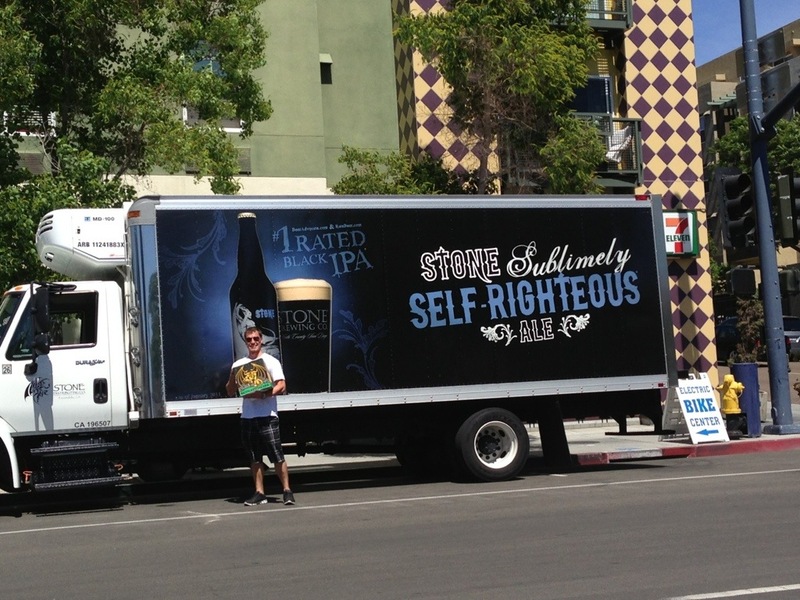 The craft beer revolution should not be a place of lies and deceit, and yet here it is. I have just discovered that it is perfectly legal for corporate giants such as Anheuser-Busch and MillerCoors to sell their kegs to independent bars and Gastropubs granting them the authorization to sell their beer under another name. For instance, if you own Sonny’s Bar, you can buy Bud light or Coors and advertise it as Sonny’s Lager. A deceptive and despicable attempt by large scale brewing giants to cash in on the booming business of local and micro craft beer. Upon visiting an establishment in Brooklyn I was surprised by the excessively light and skunky beer flowing on tap at a local joint. Did they not clean their lines properly? Was the glass dirty? Two real world possibilities in New York dive bars. When I inquired as to where the beer was brewed I was given the vague response: “at an offsite location”. Little did I know that this “offsite” location was not a regional independent brewery, as the name suggested, but rather an automated hundred thousand barrel a year industrial giant. And yes these are rather harsh words coming from a fellow brewer and beer aficionado. We are all beer drinkers at heart and should support and respect the decisions of other beer drinkers. If you want to drink bud light I have no problem with that. Perhaps you even like light American lagers. In which case more power to you, you will probably be able to find your favorite beer everywhere and for a rather cheap price. But the fact of the matter is, we are being intentionally deceived by corporate giants who would rather eliminate the craft beer industry altogether rather than promote a common and cooperative beer culture. These companies are not innocently trying to promote their beers. They are aggressively eliminating the choice itself. I am appalled that this practice is even legal. These strategies however are not new to the industry. Corporate giants have been marketing merger brews as “local” for years. Shocktop and Blue Moon are perfect examples of mass produced Ale marketing their “craft” style. 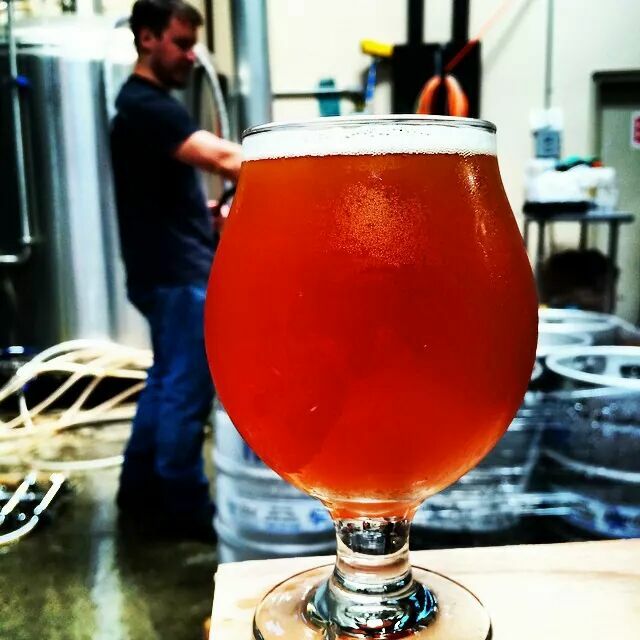 We can of course get into a long discussion about what it means to be a craft brewery. Is it the size of the brewery, or the number of barrels produced a year, as the Brewers’ Association defines? Does it even have a meaning? There is no legal basis to the term and can thus be stuck onto just about any beer produced by any brewery. Does the owner of the label determine the worth of the beer? Does the word “craft” add worth? All of the best foods are fermented: bread, cheese, wine, cured meats, sauerkraut, and of course beer. Fermentation occurs when yeast converts sugars into acids, gases, and/or alcohol, depending on your (and more so the yeast or bacterias) intended outcome. Food artfully coerced into controlled decay to transform into complex delicacies. Wheat dough comes to life with expelled CO2, sugary wort infuses with bitter alcohol and natural carbonation. Cabbage when dehydrated with salt will create its own fermentation environment. A natural bacterium on the outside of the vegetable infects the water expelled after salting, dropping the PH and increasing the acidity so that only it is able to survive. It is then free to happily digest all the sugary enzymes it wants without competition. Bacteria is a wonderful ally in a world of bratwurst and schnitzel. Beer just so happens to pair well with all of these fermented delights. Sauerkraut and sausage with a German Oktoberfest is a pillar of culinary perfection. Just about every style of cheese can find a partner, Geuze beer and goat cheese, Belgian Tripple and brie. Beer, at its essence, is grain fermented in barrels. Cheese is grain (often the same varieties) fermented in cow stomachs. The tastes and flavors that came out of the fermenters have stayed with humanity ever since this beautiful decay was discovered. 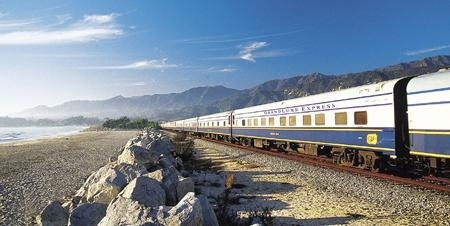 Although the methods have vastly diversified, giving us endless variety and style, the basic principles are still there. It is valuable to note that anyone can capture this magic with a few tools of the modern kitchen and an internet recipe.